seviyan kheer recipe | semiya payasam | semiya kheer or vermicelli kheer with detailed photo and video recipe. a simple vermicelli noodles or semiya based dessert pudding filled with thickened milk and dry fruits. it is perhaps one of the simple indian dessert recipe relished for small or big occasions by amateur or professional chefs. kheer recipes are generally served during the meal or can also be served chilled after the meal as dessert. seviyan kheer recipe | semiya payasam | semiya kheer or vermicelli kheer with step by step photo and video recipe. during any indian festival or for any occasions feast, dessert recipes play important role in its meal. 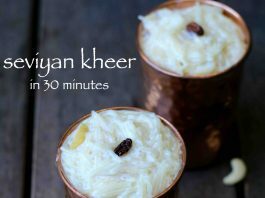 and perhaps kheer recipes and its variations are the most common recipe prepared because of its creaminess and richness. 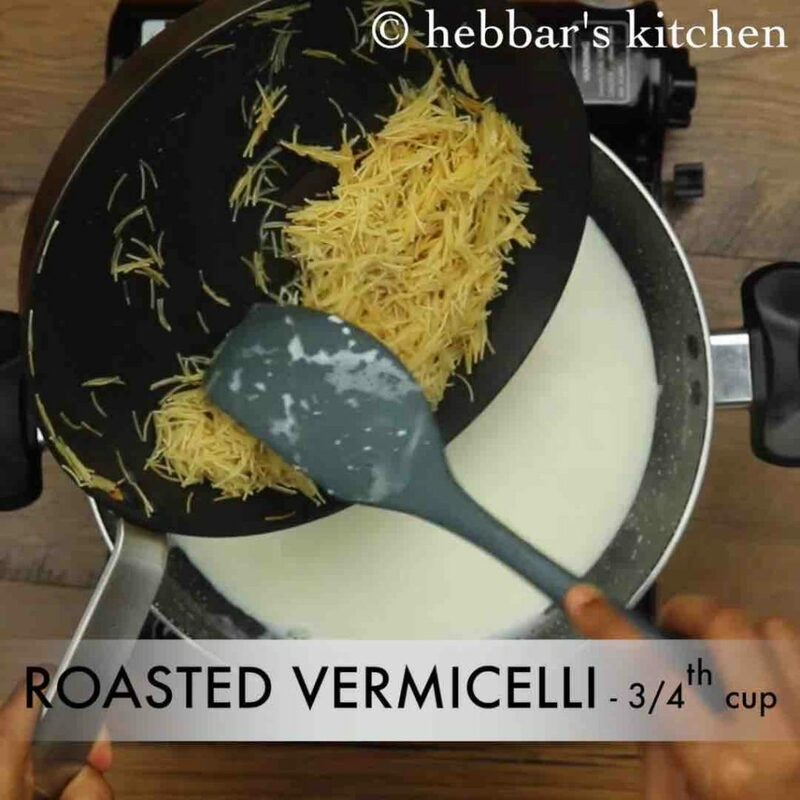 in this recipe post, i will talk about the bambino / mtr vermicelli noodles based kheer. the word kheer is basically derived from sanskrit word ksheera which is heavily used in north india. in south india, the pudding recipes are generally termed with payasa or payasam recipes. but in my hometown, in kannada, we call this recipe as shamige payasa or shamige paramanna. for any big or small occasions, vermicelli kheer is a must dessert dish in my family. 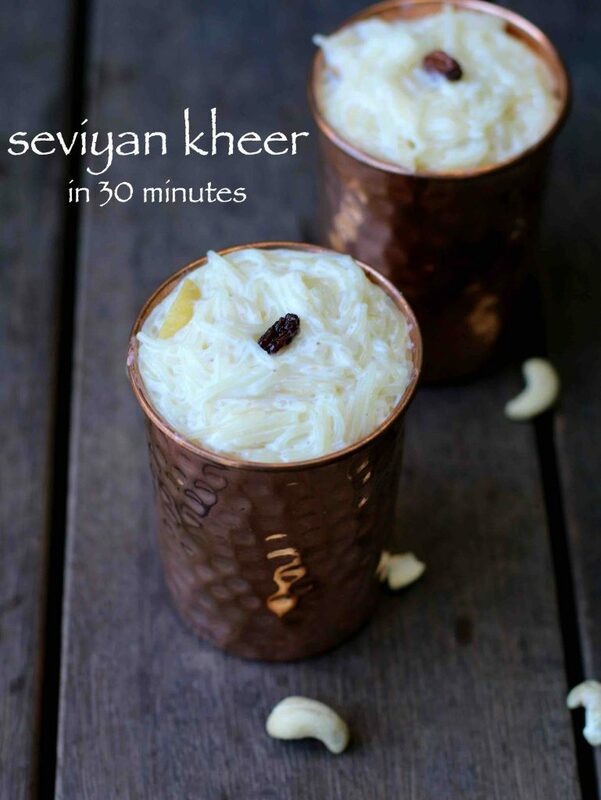 since childhood, i have a special connection to this recipe and perhaps seviyan kheer was one of the first dessert recipes i tried in the kitchen. 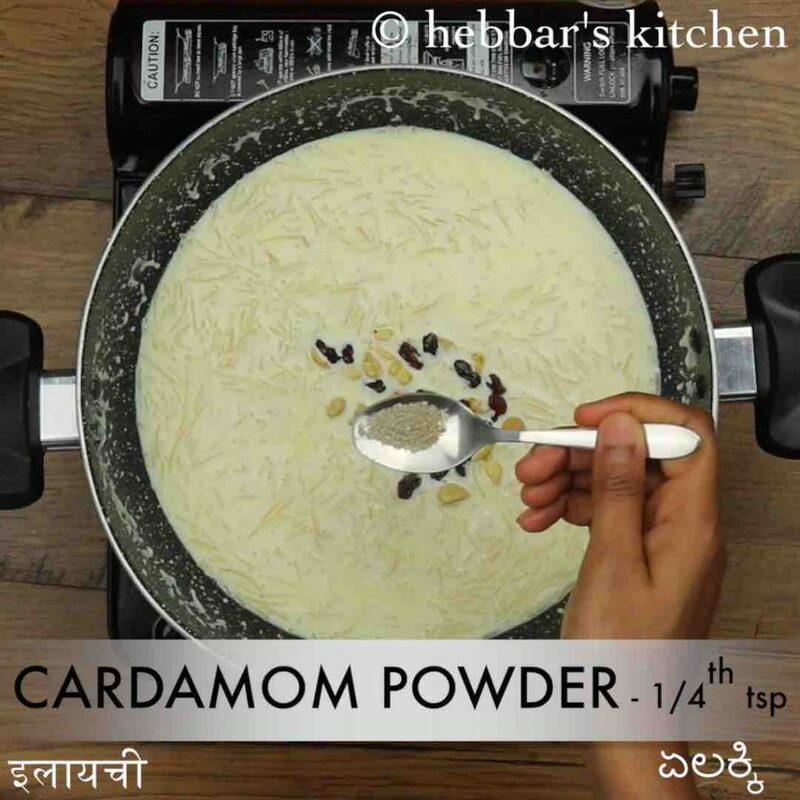 even as a amateur cook i was able to prepare a creamy and tasty kheer recipe. 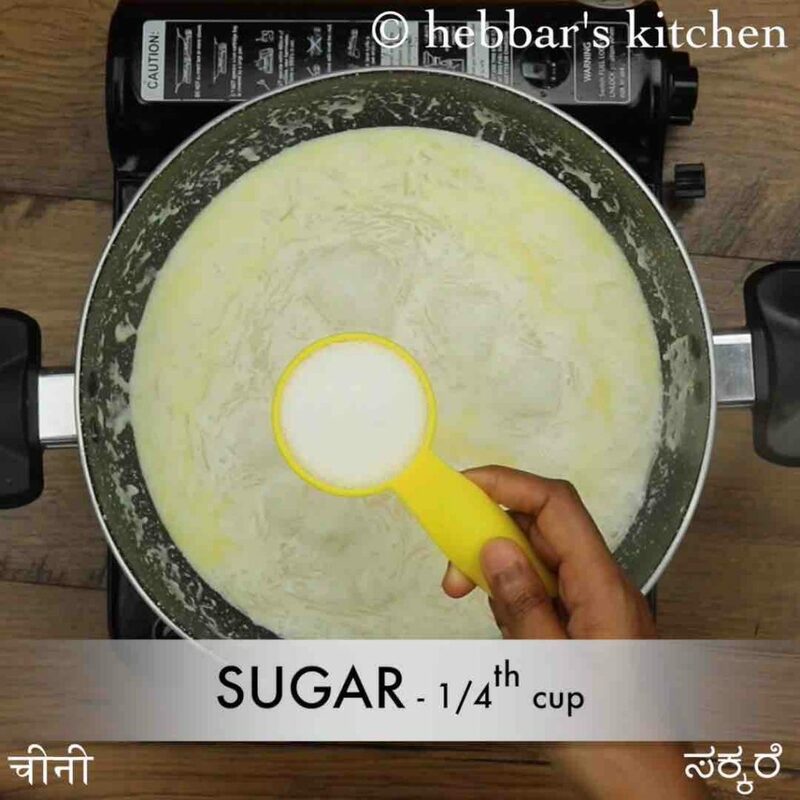 the recipe for seviyan kheer is extremely simple, yet i would like to share some tips, recommendations and serving ideas for it. 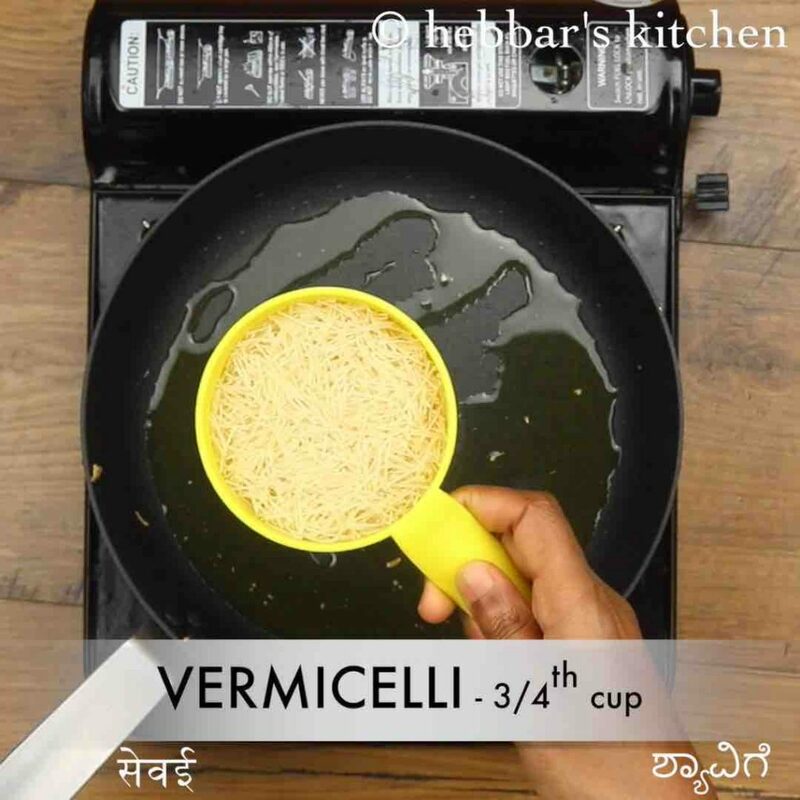 firstly, do not forget to fry the bambino / mtr vermicelli with ghee in low flame. do not burn them and fry till it reaches golden brown in color. 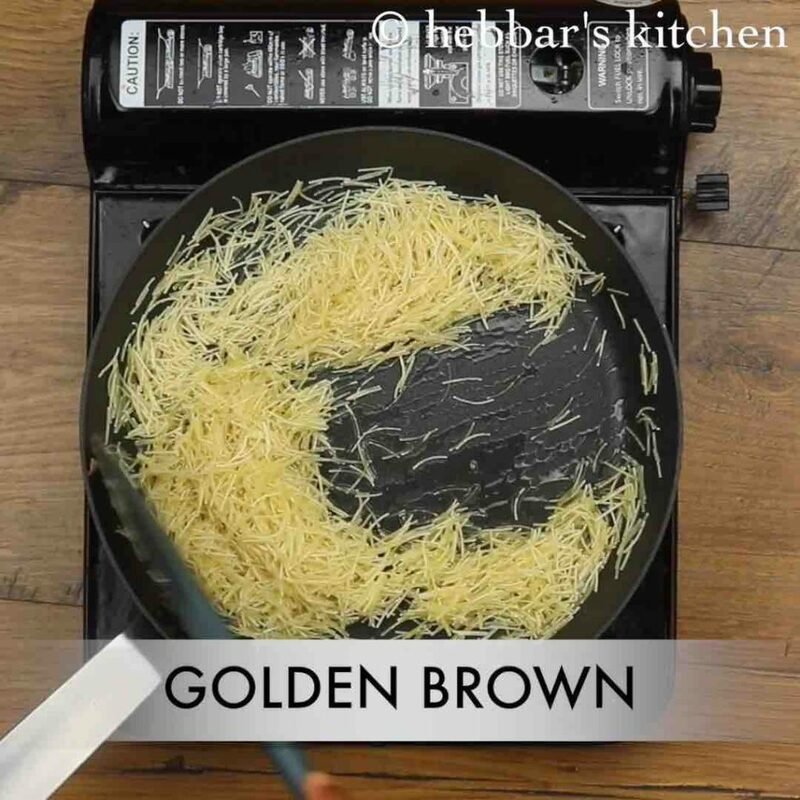 alternatively, you can also use store-bought fried seviyan to skip this step. secondly, i have boiled and cooked the semiya noodles in a full cream cows milk which thickens after the cooking process. 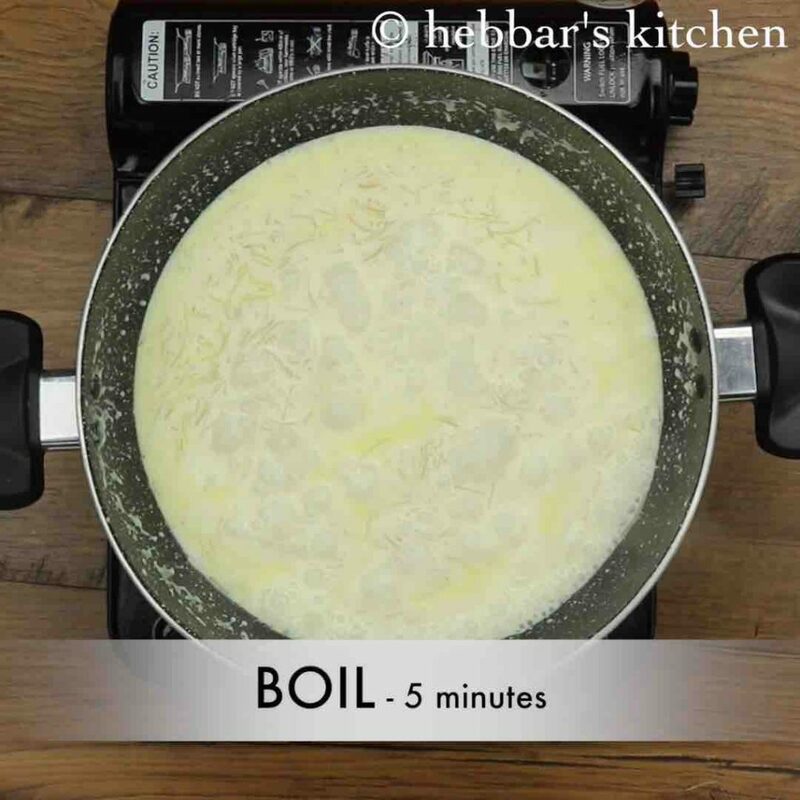 optionally you can also add cooking cream while boiling for more richness and creaminess. lastly, semiya payasam can be served either hot or chilled. if you are serving after a while, it may have thickened. add some milk and microwave it 30-60 secs and adjust the consistency. 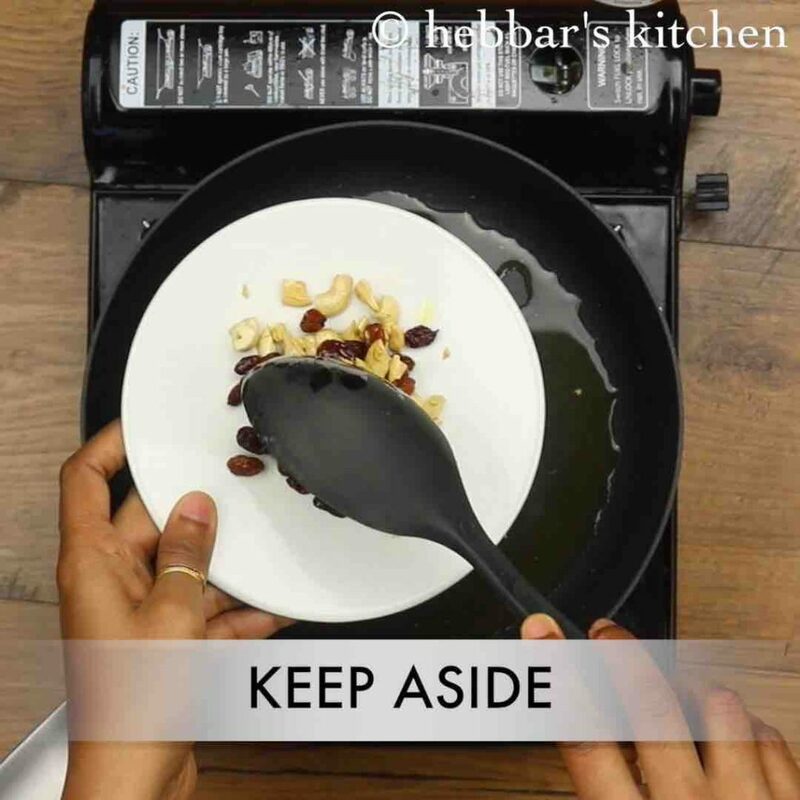 firstly, in a tawa heat 1 tbsp ghee and roast 5 broken cashew and 1 tbsp raisins. roast till they turn golden brown, keep aside. in the same ghee roast ¾ cup vermicelli on low to medium flame for 5 minutes. roast till the semiyan turns golden brown. keep aside. 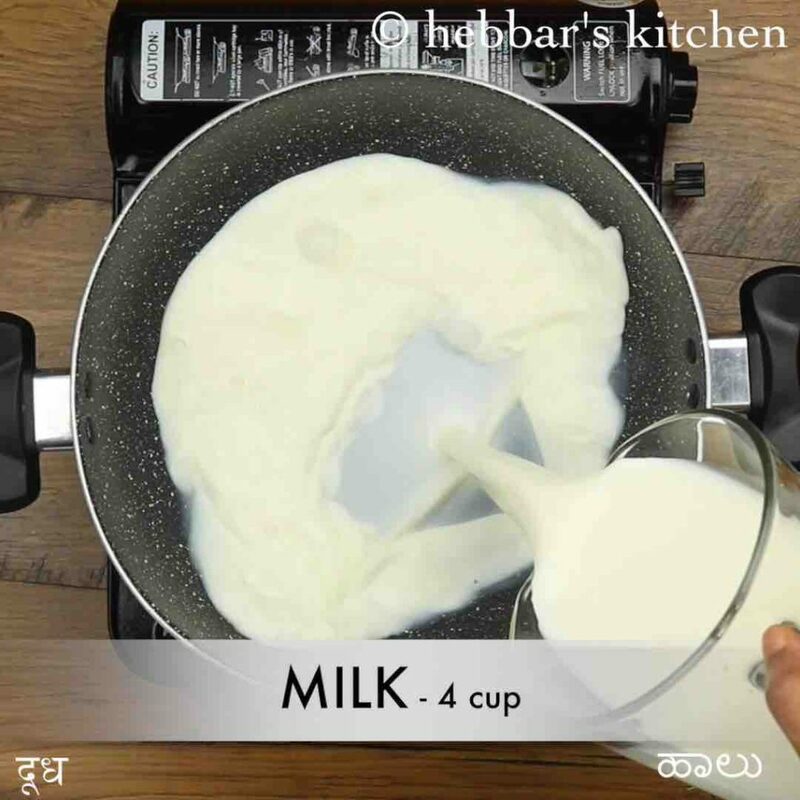 in a large kadai heat 4 cup milk and get to boil stirring occasionally. now add roasted vermicelli and give a good mix. boil for 10 minutes or til semiyan softens. now add ¼ cup sugar and mix well. add more sugar depending on the sweetness you are looking for. 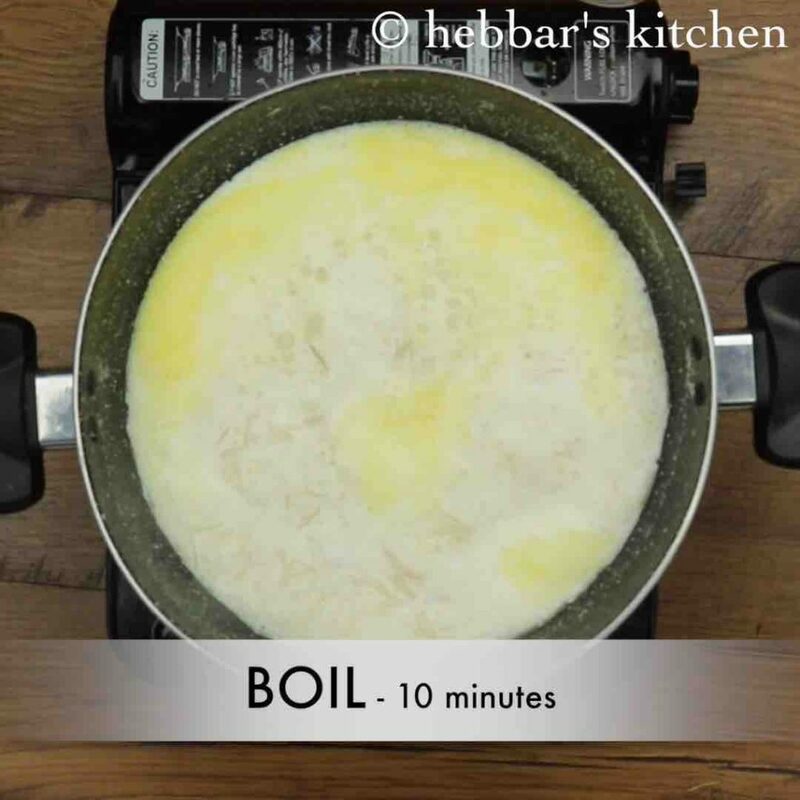 boil for 5 minutes or till kheer thickens. additionally, add roasted cashew - raisins and ¼ tsp cardamom powder. mix well. finally, serve semiyan kheer chilled or hot garnished with few nuts. boil for 10 minutes or until semiyan softens. 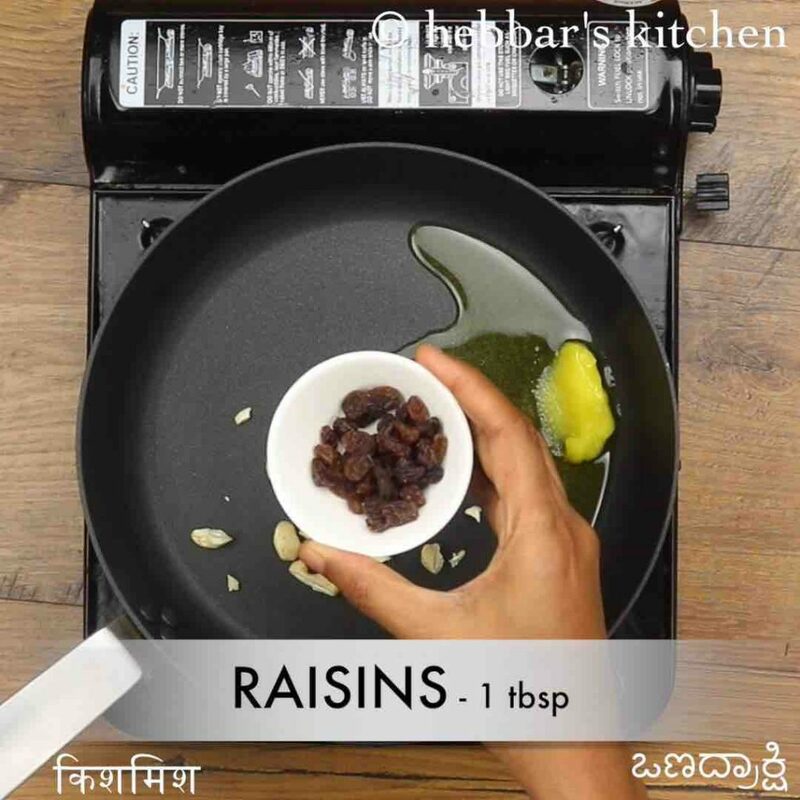 additionally, add roasted cashew – raisins and ¼ tsp cardamom powder. mix well. firstly, once the kheer is cooled, it thickens. so add more milk to adjust consistency. also roast vermicelli on low flame, else they might burn and taste bitter. additionally, add semiyan once milk comes to a boil, else semiyan might turn sticky. furthermore, adding khoya / mava / condensed milk / cream will enhance the flavour. 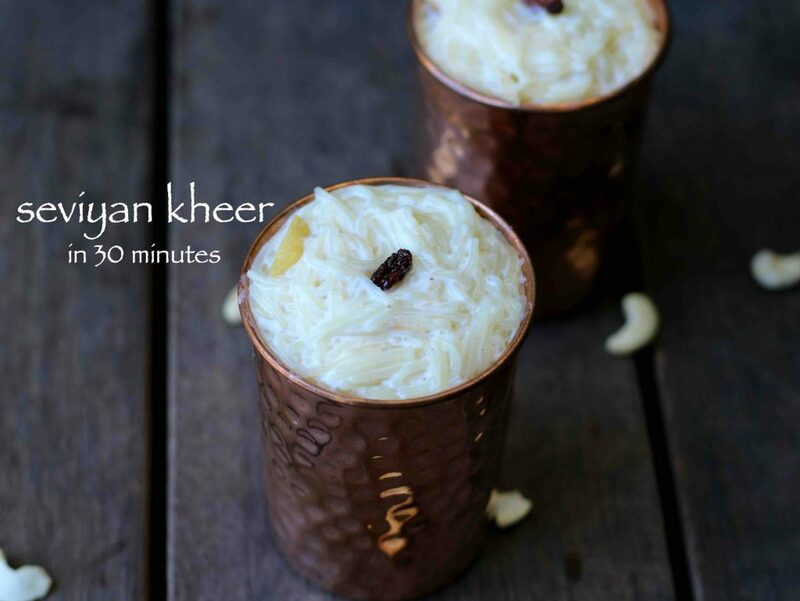 finally, semiyan kheer recipe tastes great when served warm or chilled.